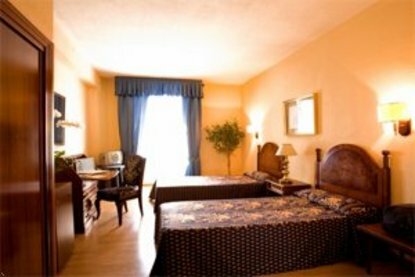 The Asturias Hotel located in the heart of Madrid, 200 m. from the *Puerta del Sol*, the main commercial and cultural area of the city and very well conected with any point of interest. It is a moderate tourist hotel with 175 rooms with complete bathroom, telephone,television and heating. Facilities include bar, restaurant and TV saloon. There is a public parking for 500 cars just in front of the hotel.